with Arthur Tooth and Sons, London, as Ramsay (according to a label on the reverse). with Newhouse Galleries, Inc., New York, as Ramsay, from whom purchased, in 1928, by a member of the family of the present owners. The identity of the sitter is given by old labels on the reverse. 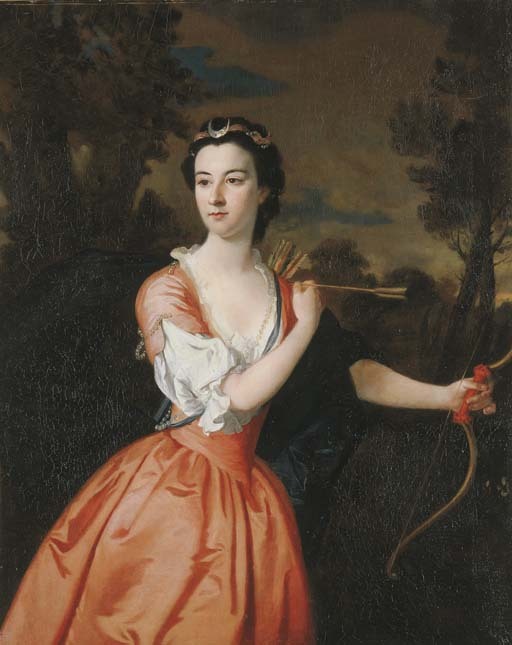 The eldest daughter of the Earl of Halifax, Lady Frances Montague married Sir Roger Burgoyne of Sutton Park (d. 1780) in 1739.